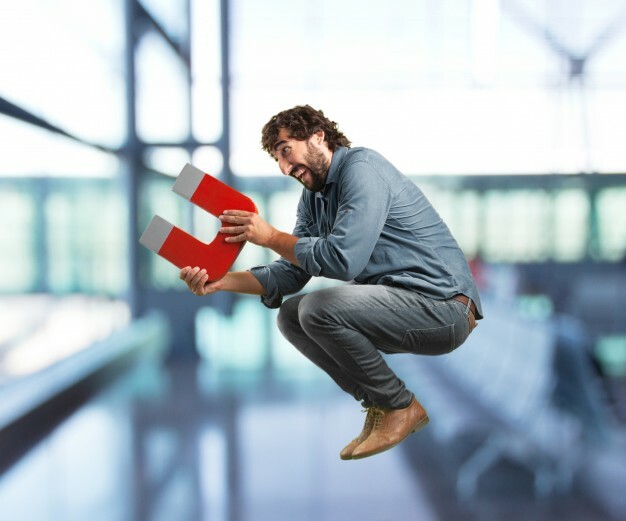 Lead magnets, in digital marketing, are an effective way to capture contact details of your target groups and convert them into paying customers. Essentially, lead magnets can increase the conversion rate of your inbound traffic. However, many small businesses ignore the benefits of lead magnets because they’re time-consuming to create. However, with the right content writing service, you can create lead magnets on a consistent basis and generate new leads year round. There are so many types of content that can be used as lead magnets, and you can switch between them from time to time. If you’re not familiar with many content types that double up as lead magnets, here are 7 that you can consider. Identify a topic that’s interesting and not talked about enough. It’s important to check if your topic has already been covered by others. Create a compelling title that clearly describes the eBook’s value proposition. If the topic doesn’t sell well, your lead magnet won’t be very effective. Ensure that the eBook’s matter offers unique value, so the people who do end up downloading trust you enough with their business. Remember that the ultimate goal of creating a lead magnet is to convert your leads into paying customers, and customers are unlikely to trust a brand that creates crappy content. If you’re uncertain about your ability to create effective eBooks, hire an eBook writing service that ensures quality content. Invest in creating conversion optimized landing pages to host your finished eBooks to maximize your lead generation potential. Here’s an example of an eBook created by Michael Hyatt. It’s simple, addresses a pressing problem and is shared on a clean and effective landing page. In most competitive industries, it’s pretty hard to come up with original content ideas. No matter what subject you choose, there’s probably already a ton of literature on the internet, making it hard for you to add unique insights or value. If you can relate to this scenario, you could tackle it by creating a guide or a comprehensive collection of posts on a topic. Here’s what you should keep in mind when creating “ultimate guides”. In guides, rather than recycling your blog posts, you directly link to external resources that suitably cover your topic of focus. It’s important that you don’t copy from sources on the internet, but add a link to them instead. Why direct traffic to other websites? Well, if you choose non-competing websites that belong to potential partners, you can build relationships with them while also enlisting some help on guide promotion. The objective of creating an ultimate guide is to save your audience precious time by curating links to invaluable sources in an organized and easy-to-navigate way. So, your job is to assess the challenges your audience is facing and help them find the best tips or resources on the internet to overcome them. 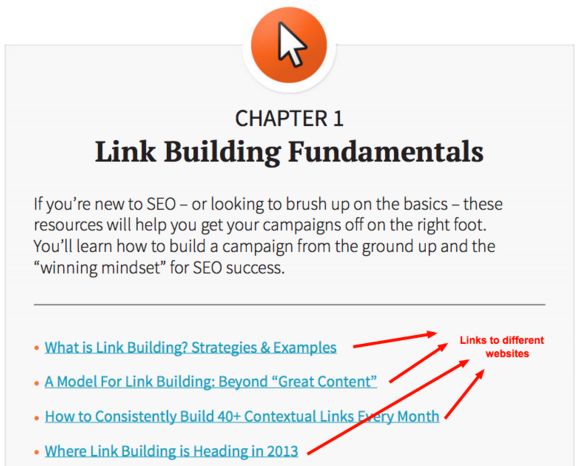 Here’s an example of a guide created by Brian Dean, aimed at helping his website visitors grasp the concept of backlinking. Cheat sheets are essentially compact versions of guides that highlight quick, less known shortcuts of which your audience members may not be aware. Explained in a nutshell, a cheat sheet is anything that contains tips to save time on routine tasks or instructions to exploit obscure loopholes that a majority of people are ignorant of. Here’s what a good cheat sheet should have. When creating a cheat sheet, identify bad experiences that your audience faces on a daily basis and figure out hacks that can help avoid them. Spice up the hacks with effective copywriting so they sound enticing to your readers. If you’re not confident of creating effective copy, hire a copywriting agency that can do it for you. Use examples or screenshots to illustrate your hacks, so your readers can be successful at implementing it themselves. A hack poorly explained is worth nothing. Share your cheat sheets within relevant blogs, on social media posts, and in your newsletter to increase exposure and downloads. Ensure that your email gateway is active when you share through any medium, so you don’t miss out on gathering leads. Here’s an example of a cheat sheet focused on a goal that all bloggers and business people want to achieve. The simplicity and clear value proposition of the title make it a very compelling cheat sheet. Have you ever wondered why some popular websites such as Buzzfeed have so many quizzes? It’s because surveys and quizzes act as super effective lead magnets. Surveys and quizzes are probably the only forms of content-lead magnets that you can expect to go viral without much effort from your end. Once a user has taken a quiz, he or she is likely to part with his or her email address without any hesitation. In fact, according to this VentureBeat study, 84.3% users who begin a quiz share their email address to receive results. Here are a few tips to bear in mind when creating surveys and quizzes for lead generation. Brainstorm on a quiz outcome that’s exciting, so your quiz or survey truly becomes a lead magnet. You can either request an email address to reveal the correctness of a participant’s responses or categorize quiz takers based on the pattern of their answers. 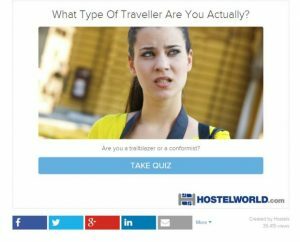 If your quiz is very generic, you may end up with irrelevant leads that never convert into real business. Ensure that focus on your target groups when designing your survey or quiz, so that you attract the right audience members. Create a quiz that’s direct and short. You may be tempted to get carried away with questions, but doing so may result in people losing interest. Here’s an example of a “What Type of Traveler are You” quiz targeted at frequent travelers. Reports are exceptionally effective lead magnets in the B2B business, but they can work wonders in any industry that’s dependent on data and statistics. As a business, you have the option to either conduct a study by yourself or pull data from existing studies that are pertinent to your target audience. Here are a few tips to keep in mind when creating reports for lead generation. People are always in search of trends that they can trust – trends that are supported by data. Businesses are always in search of data that can help them make good business decisions. Based on who your target audience is, design reports that share valuable insights drawn from real data. Create reports that address fears people have with respect to your business so you can build trust and make it easier for your target audience to invest in your business. If you’re a B2B business, create reports that make life easier for the members of your target groups. That’s a great way to gain someone’s trust. Ensure that your reports are well articulated and written, with graphs to simplify reading where necessary. If you’re not confident of your team’s ability to write compelling reports, hire a professional writing service to do it for you. Here’s an example of a YouTube stats report that could be easily created with information openly available on the internet. 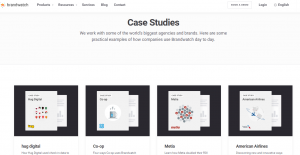 Case studies are essentially in-depth guides with specific examples to illustrate useful insights. The real-life examples used in case studies are more powerful in convincing your audience of their ability to achieve certain goals. This aspect of case studies makes them a particularly potent lead magnet with the power to attract high-potential leads. Here are a few points to bear in mind when creating case studies for content marketing. Case studies double up as great pre-sales material, giving you a unique opportunity to weave your brand into the material. When deciding the central idea of your case study, ensure that you can place your product or service into the storyline. One of the most common ways to create an effective case study is to feature a client who has enjoyed success as a result of your product or services. However, you should keep in mind that you need permission and cooperation from your client before you create this type of content. Within the case study, it’s vital to have key takeaways and CTAs so there’s a specific end to your effort. 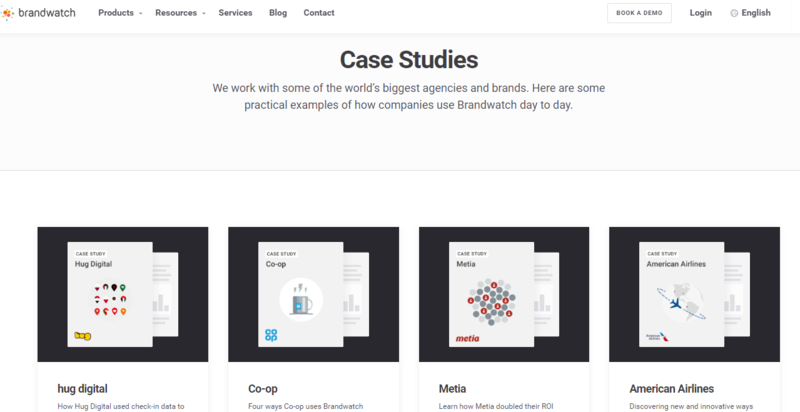 Here’s an example of BrandWatch’s case studies page. As you can see, they have created multiple case studies to aid clients with different profiles. Webinars are great for customer engagement. Through them, you can deliver value like you can’t through most other forms of content. When planning webinars, you can focus on topics that have enough to keep customers engaged for hours on end. This way, you can slowly introduce your audience to your business without having to rely on a hard-sell. Webinars can help position your brand’s representatives as experts in your industry. 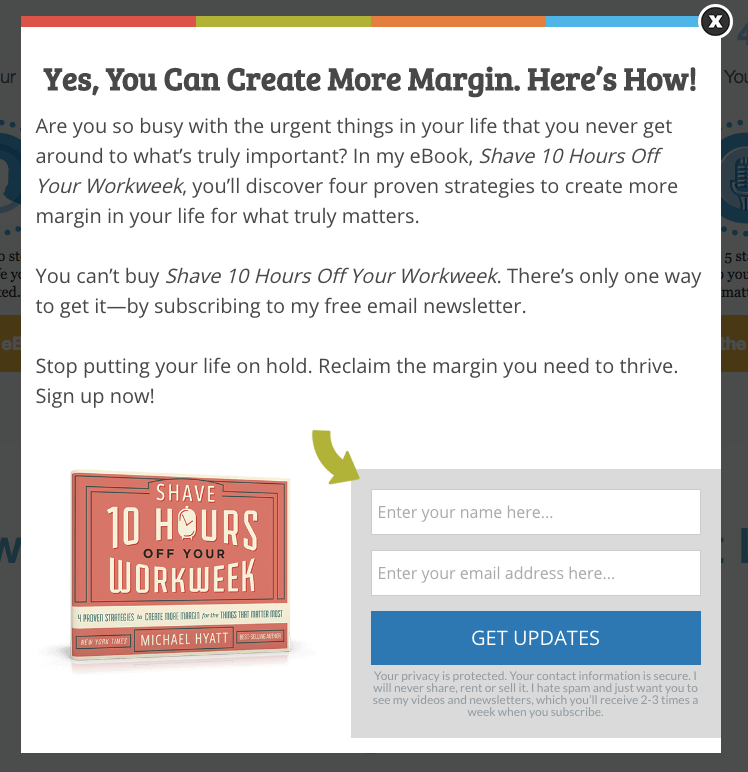 Even if your webinars are free, they’re costing your audience something very important. Time. If people are willing to invest precious time in listening to you, they believe that you’re an expert in the subject. Webinars help you communicate with 100s of people around the world simultaneously. The best part is that webinars are almost like one-on-one conversations to the people participating. When creating a webinar ensure that it’s closely related to your niche, so you can introduce your product or service subtly, where it matters. 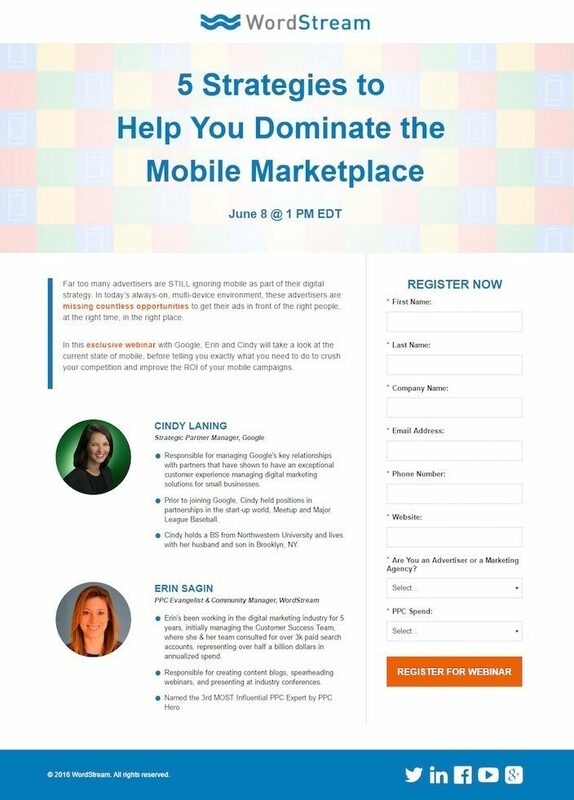 Here’s an example of a webinar created by Wordstream, a company that offers web optimization to customers. There are several types of content that can act as lead magnets to convert your website visitors. 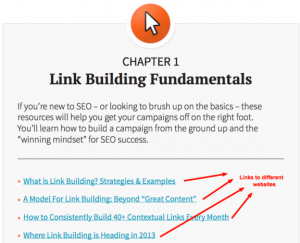 The 6 types of content discussed in this post are great for you to get started. If the variety of options available are overwhelming, you could always hire a content agency to have them created effortlessly.